Do you want to go lighter with your hair color without damaging your locks? Maintaining the condition of colored hair is no easy feat. That’s why we’re excited about this new game changer: Wellaplex. In this week’s blog post, Senior Colorist Rocco Crisci breaks down the treatment and how it works. First things first: in order to get great color, you need healthy hair. If a client comes in and wants lighter hair, I most likely have to compromise on the hair’s texture in order to lift it and finally get the result I want. 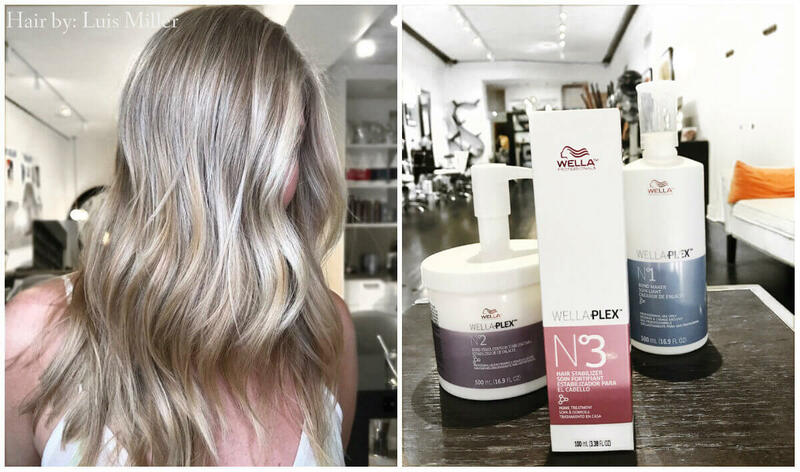 However, if I incorporate Wellaplex into the service, it not only strengthens the bonds but also rebuilds the structure of the strands broken down by the chemical treatment. This means that I and other colorists are now, thanks to this treatment, able to receive results we’ve only dreamt of before. The first in-salon step is to be used in combination with color or lightening services to help create bonds within the hair. Next step would be to use the bond stabilizer to further strengthen the bonds, build up the structure of the hair and re-balance the pH. N°1 and N°2 are used in-salon only. The final step is the take home product to use in between visits to the salon. It helps keeping hair strong, soft and smooth. The hair stabilizer is available in our salons and should preferably be used once a week. Is it time for a treatment?